Though the game hasn’t seen a large amount of users consistently in the multiplayer portion of the game, the latest downloadable content named Lost Relics is now available for Gears of War: Judgment. The new content contains three traditional multiplayer maps and one OverRun map. Note that this content is only available for VIP members of the game, meaning only for those individuals who purchased the season pass for Gears of War: Judgment. 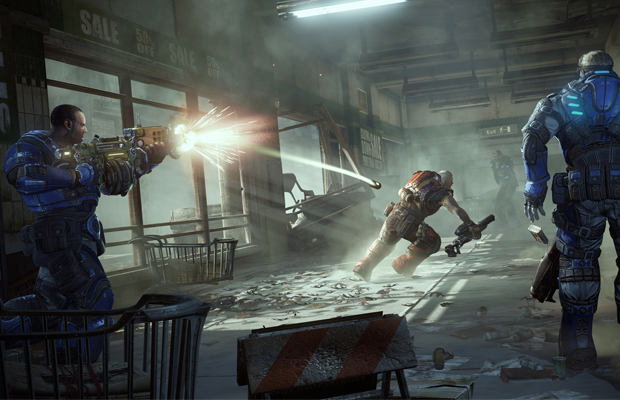 In addition to the new maps, Gears of War: Judgment also receives a new mode called Breakthrough. Below, we’ve listed how the new flag-oriented mode works in the new downloadable content. For the new maps, you’ll find gameplay of each map in our video playlist included above. Below, you’ll find a description of each map. The ruins of this ancient city were once a major archeological find . Despite sitting empty for centuries, the hydro-powered aqueduct and canal systems were still in working order and proved that the ancient Serans had a remarkable grasp of engineering and architecture. Like so many projects, excavation was abruptly halted when the Locust emerged and changed the face of the planet. Now every Seran city sits as empty and lost as this one. Situated on the bay just outside the city capitol, The Ilima Museum of Natural History features an array of permanent exhibits, special programs, and educational opportunities for visitors of all ages. With over a million artifacts and specimens in our collection, you can explore the wonders of the natural world at your own pace, or take part in one of our special hands-on workshops. Tickets are on sale now for our latest special showing: The Ages of Seran Military Might. Get up close and personal with ancient swords of mystical power and see some of the first working mechanical weaponry of our storied past. The battle for Halvo Bay was fought on many fronts simultaneously. While most areas of the city fell quickly, a few sections actually had time to mount a defense and fortify against the incoming Horde. Some were even able to push the Locust forces back and regain some ground before all was lost. This Overrun map features one such area where the battle was small but intense, and the dedicated forces of the COG army tried to hold off wave after wave of invading forces with little in the way of reinforcements. They pushed the Locust back several blocks before resistance increased and ultimately they found themselves in a fierce tug of war with little hope of success. What do you think about the latest round of downloadable content for Gears of War: Judgment? Be sure to let us know what you think by leaving us a comment below, or continue the discussion on Twitter and Facebook.